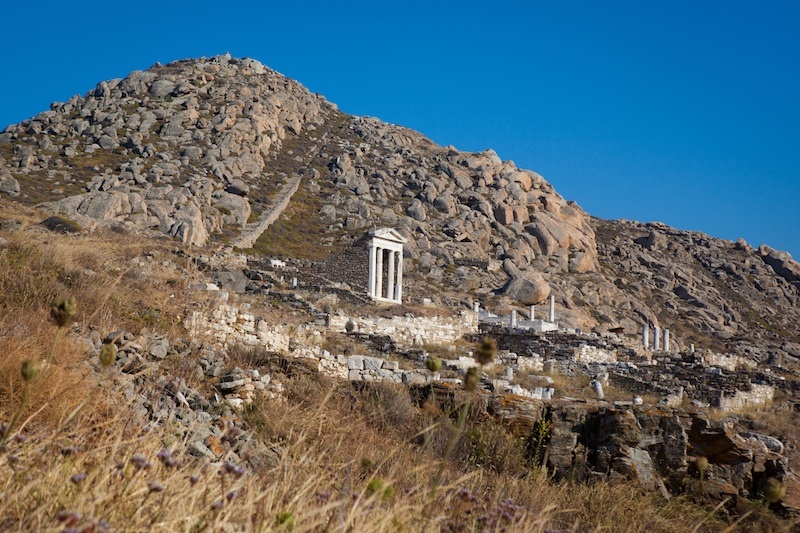 Lying just next to Mykonos, Delos is the mythological birthplace of the (hot) God Apollo and considered one of the most sacred sites of the ancient Greeks. The ruins are worthwhile to visit and it makes for a nice break if you’ve been in the Mykonos circuit a few days. Why not go gay to Delos? There is a mostly gay cruise to Delos (daily except for Mondays) organized by Mykonos Accommodation Center. It only takes 30 minutes each way. Maybe you’ll find your own Greek god during this short excursion. The Delos archaeological sanctuary, birthplace of Apollo and Artemis, is listed by Unesco as one of mankind’s most important cultural and historical sites. Delos was the sacred island for Ancient Greeks and became the holiest place in the Aegean with a flourishing commercial town & harbour, large population, temples, and open air theatre…. Delos is now uninhabited and off-limits for an overnight stay.. Delos was mostly the spiritual focus of the Ancient Greeks ethnic identity: it was a holy island, dedicated to the god Apollo and the religious festivals grew in the ancient world into a huge trade fair and city without defensive walls with public buildings, a cosmopolitan banking and trading center, with it’s grain port and slave market. Today Delos constitutes the most well preserved ancient city in Greece.